Will Current Record-Low Airfares Last? According to data from 2015 released this week by the DOT’s Bureau of Transportation Statistics, airfares are getting progressively cheaper. The average price for a domestic ticket in the fourth quarter of 2015 was $363. That is a significant decrease compared with Q4 2014, when the average fare was $396. In fact, fares for the last three months of '15 were at their lowest quarterly average since 2009, when round trip prices dipped below the $350 mark. The current average is even more impressive when compared to the inflation-adjusted prices from the early part of the century. In the fourth quarter of 2000, for example, the average fare was $462. The BTS also released annual data this week. These yearly numbers show that the fourth quarter fare averages were not an anomaly. When all of 2015's numbers were counted, the average domestic fare came to $377. Again, the BTS adjusts its data to account for inflation, but the $377 mark is the lowest since 2010, when the average airfare for the entire year was $365. For comparison, the mean fare for all of 2014 was $392. In 2000, it was $467. READ MORE: Are Plummeting Air Fares Causing A Spike in Cruise Travel? More importantly, it seems like a downward trend is taking shape. Since the end of the most recent recession, airfares had never dropped below $383 in any one quarter. That changed last year in the third quarter, when the average dipped to $372. This threshold was broken after average fares had dropped by at least $1 in every quarter since Q3 of 2014. Fliers should watch closely to see if this pattern of quarterly drops continues. The trend of cheaper and cheaper flights is even evident when averages aren’t adjusted for inflation. The unadjusted average was $391 in 2014. In 2012, fares were basically equal with 2015's (average fares during that year were $375 without inflation being taken into account). These numbers show that prices are moving in the right direction (from fliers’ perspective) on a macro level. But what about when you zoom in to look at specific destinations? The latest BTS data also includes averages for airports of different sizes. Factors like competition and demand play a huge role in how much tickets to and from different destinations cost. For example, there are 15 airports in the United States that serve more than five million departing passengers. At these major hubs, the mean fare for the fourth quarter of 2015 was $365 (slightly above the overall national average). This figure can be chalked up to a number of different factors, including higher demand, the presence of more full service carriers and fewer low cost carriers (who prefer smaller secondary airports), and more cross-country flight options (which tend to account for the highest fares on the domestic market). 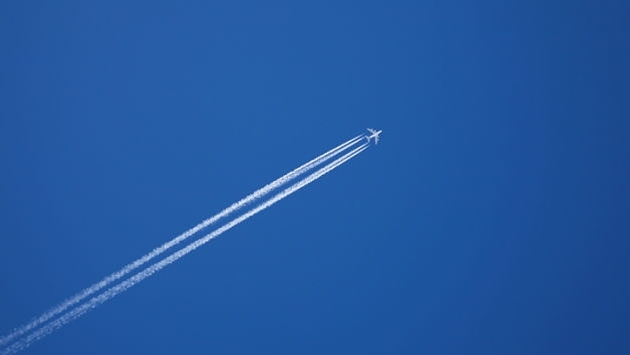 READ MORE: What Do Expedia and ARC Predict Will Happen to Airfare in 2016? 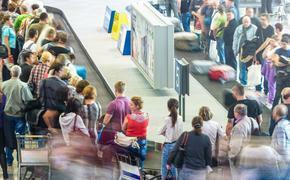 Airports with less than one million departing passengers came in right at the overall national average ($363). The relatively high fares at these smaller hubs can be explained by a lack of competition and lower demand. Which airports had the lowest fares? Hubs in the three to four million departures category had an average fare of $319. The presence of low cost carriers at these smaller hubs is probably one the biggest reasons for the significantly cheaper prices. Ultra-budget carriers like Spirit and, especially, Frontier are expanding their operations at airports of this size. Frontier has launched a whole spate of new flights at mid-sized hubs over the past couple of weeks. This kind of expansion should help fares at these mid-sized airports remain well below average going forward. Thanks to the growth of low cost carriers and, of course, low fuel prices, fares should continue their downward trend, at least in the short term.